There's something very cool about androgynous style, the whole boyfriend blazer, oversized mens shirts, or highly tailored trousers, that keeps appearing within designers collections repeatedly, I am utterly addicted to. 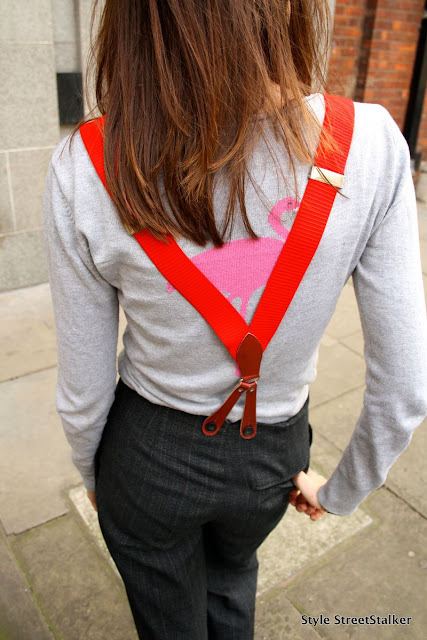 I found these red braces in a vintage shop ages ago and have been waiting to wear them as they need to be worn with old fashioned trousers that have the buttons that attach to the braces. Finally in Toast, which is an awesome brand created in Wales, I found them and now I'm totally hooked on this outfit! Braces: Vintage Shop Notting Hill, Trouser: Toast, Jumper: Shop in Notting Hill, Jacket: What Goes Around Come Around - NYC. 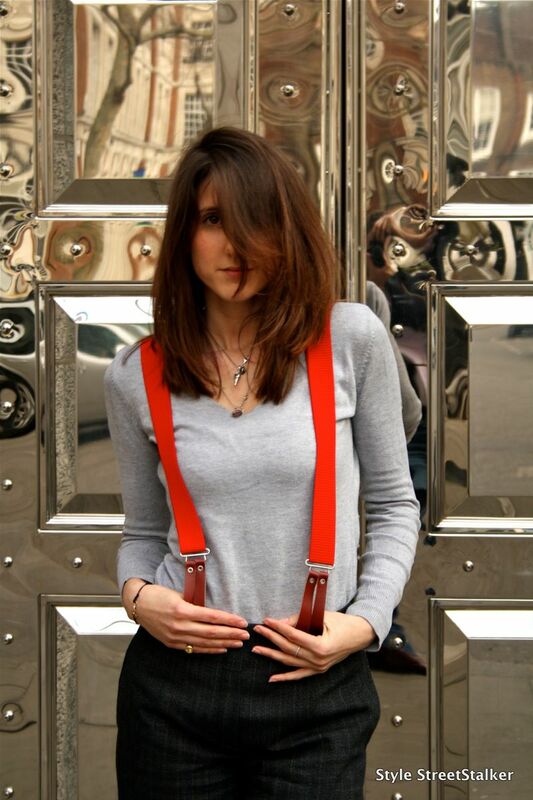 I've had some suspenders for a long time now and only worn one of them once. I wonder if I can make them work today for work. Hmmm. I love braces, too. They are so cool but also extremly functional and always fun to wear. 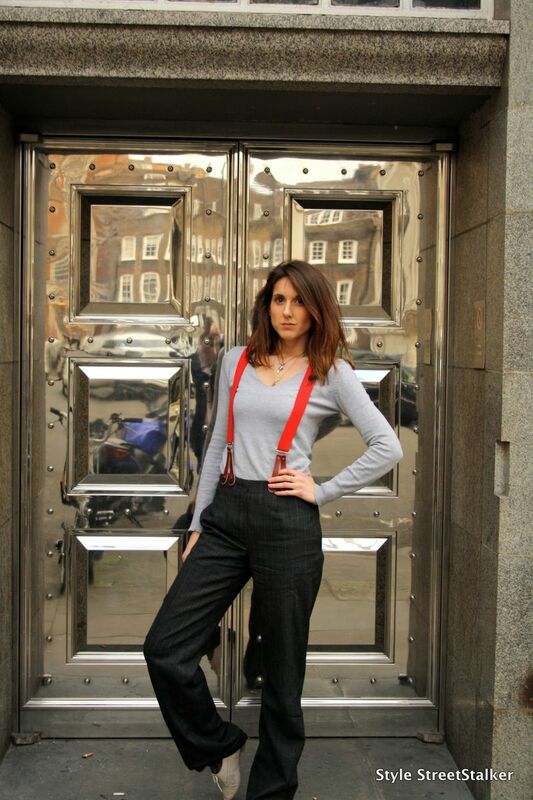 Also like your trousers, they really look so laid-back with the braces. Snazzy! 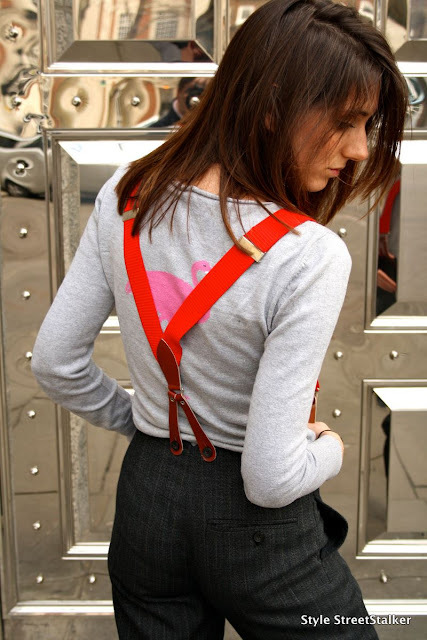 The red braces add a flair of fun to your outfit. They definitely catch the eye! Nice job on pairing the pants with button-on braces - the correct way to wear braces.